Please direct your members to our page at https://www.spyderco.com/catalog/det...81GPBKBS2/1052. 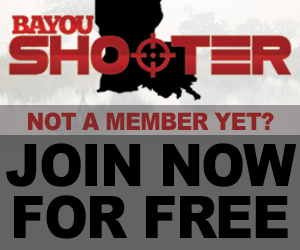 They can use the code BAYOUSHOOTER for a 40% discount on that particular model. Update Two: Initially the code was not working due to an issue on Spyderco's end, I am told it is up and running now. Sorry for the trouble guys. 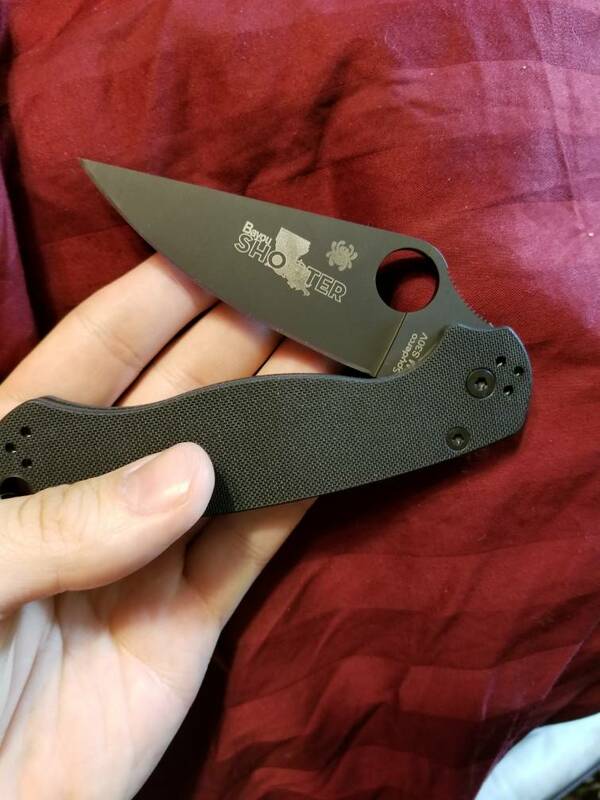 We are doing a run of special edition Spyderco Paramilitary 2's - black handle, black blade, plain edge, with the BayouShooter logo on it. Members would receive 40% off the normal cost of the knife. Please respond here ASAP if you are interested. We need a count of how much interest we have as soon as possible. A reply does not lock you in to anything. Yes, count me in on it. Interested if it's a plain edge. I agree. No serated blade please! I may be interested, but 40% off retail offers a wide range of cost when they can be found from $125-200. Actually was honest on paying stupid state online purchase tax. This nation will remain the land of the free only so long as it is the home of the brave!